147 in stock Need More ? The hour was late and Mr Bear was tired. But he could not sleep - however he tried and wherever he tried. Snore, snore went Mrs Bear. Tick-tock, tick-tock went the clock. Would he never get to sleep? 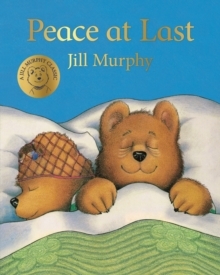 The familiar noises, repetition and beautiful illustrations make Jill Murphy's the delightful Peace at Last an all-time favourite bedtime story with children and adults everywhere. This is a beautiful refreshed edition of a much-loved picture book classic.